Can good posture boost kids' confidence? Home » Dad » Can good posture boost kids’ confidence? Can good posture boost kids’ confidence? It may bring back memories of your parents or teachers pestering you to sit or stand up straight. Now a new study suggests encouraging your kids to have good posture is an important piece of parenting advice. Researchers at Ohio State University found that college students who were sitting up straight while filling out a job survey were more confident in what they wrote. On the other hand, those who were slumped over their desks were less confident about their qualifications. "Most of us were taught that sitting up straight gives a good impression to other people. But it turns out that our posture can also affect how we think about ourselves. If you sit up straight, you end up convincing yourself by the posture you’re in," said the study’s co-author Richard Perry. 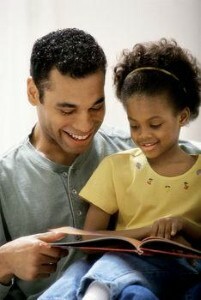 Building your child’s confidence and self-esteem is an on-going process for dads. As parents, we know that believing in yourself is half the battle when it comes to everything from making friends to trying out for a new sports team or mastering a skill. According to KidsHealth.org, fathers should offer their children encouragement and praise when they try something new or set and reach a goal for themselves. Beware of overly praising your kids, though. Experts say too much praise can create an "I can do no wrong" attitude. Encouraging persistence is important as well. Make sure your child understands the importance of not giving up when the going gets tough. Most importantly, experts say setting a positive example is paramount for raising a confident child.